Multiple System Atrophy (MSA), a neurodegenerative disorder with similarities to Parkinson’s disease, is caused by a newly discovered type of prion, akin to the misfolded proteins involved in incurable progressive brain diseases such Creutzfeldt-Jakob Disease (CJD), according to two new research papers led by scientists at UC San Francisco. The findings suggest new approaches to developing treatments for MSA, which currently has no cure, but also raise a potential concern for clinicians or scientists who come in contact with MSA tissue. The new findings mark the first discovery of a human disease caused by a new prion in 50 years, since work at the National Institutes of Health in the 1960s showed that human brain tissue infected with CJD could transmit neurodegeneration to chimpanzees. It wasn’t until 1982 that UCSF’s Stanley Prusiner, MD, isolated the causative agent for a related disease called scrapie, found in sheep, and characterized it as a prion, for “infectious protein.” He then determined that the same prion protein caused bovine spongiform encephalopathy (BSE), or “mad cow” disease, in cattle, and so-called “variant” CJD in humans who subsequently consumed BSE-contaminated beef or other tissues. At first, the idea that a simple protein could replicate and spread disease was dismissed by the scientific community, as a tenet of modern biology held that only viruses and living microbes such as bacteria could transmit disease. But subsequent work by Prusiner and others led to an understanding of how prions function at a molecular level. Prusiner, a professor of neurology and director of the Institute for Neurodegenerative Diseases (IND) at UCSF, was awarded the Nobel Prize in Physiology or Medicine for this work in 1997. Prion researchers have since suggested that similar misfolded proteins may contribute to more common forms of neurodegeneration, such as Parkinson’s disease and Alzheimer’s disease. Sometimes compared to Dr. Jekyll and Mr. Hyde, the original prion protein identified by Prusiner as being responsible for CJD, known as PrP, can exist in two forms: one harmless and the other fatal. PrP prions in the dangerous, misfolded form latch on to other nearby PrP molecules, causing them to lose their normal shape and initiating a chain reaction that results in sticky, insoluble plaques throughout the brain that kill off cells and result in the typical “spongy” appearance of CJD-affected brains. In the new research papers, published the weeks of Aug. 17 and Aug. 31, in the Proceedings of the National Academy of Sciences, Prusiner, Giles, post-doctoral researcher Amanda Woerman, PhD, and an international team of colleagues report that a misfolded version of a protein called alpha-synuclein seems to act in a similar way to transmit MSA from diseased human brain tissue to mice and to human cell cultures. First described in 1960, MSA is a progressive neurodegenerative disorder that is rare but more common than CJD: it annually affects 3 out of 100,000 people over the age of 50. Its early symptoms can be mistaken for those of Parkinson’s disease, and include movement and balance problems, as well as loss of bladder control, blood-pressure regulation and other functions governed by the autonomic nervous system. Unlike Parkinson’s patients, who often live 10 to 20 years after their diagnosis, MSA patients typically die within five to 10 years and do not respond to the drugs or deep brain stimulation used for Parkinson’s symptoms. 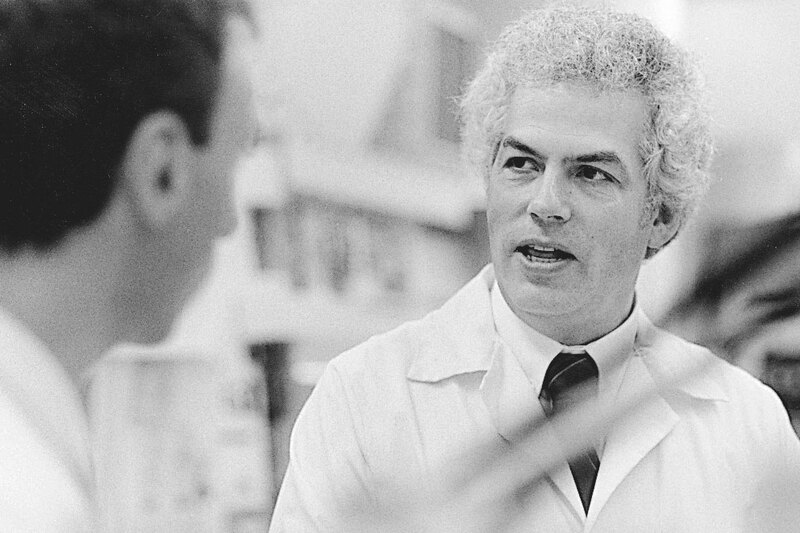 In 1997, Stanley Prusiner was awarded the Nobel Prize in Physiology or Medicine for his discovery that self-replicating misfolded proteins, which he dubbed prions, caused Creutzfeld-Jakob Disease and other related forms of infectious neurodegeneration. As in Parkinson’s disease, neurodegeneration in MSA is accompanied by a buildup of clumps of alpha-synuclein protein within brain cells. Both MSA and PD can arise sporadically in families with no history of the disease, but some inherited forms are associated with mutations in the alpha-synuclein gene. While the mechanisms aren’t fully understood, researchers believe these mutations predispose the normal proteins to misfold into infectious prions. 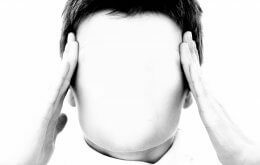 Other factors, such as cellular stress and the aging process also are thought to make misfoldings more likely. The new work has its origins in experiments conducted in Prusiner’s lab in 2013, showing that samples of brain tissue from two human MSA patients were able to transmit the disease to a mouse model for Parkinson’s disease, expressing a mutant human alpha-synuclein gene. To confirm this finding, Prusiner and colleagues expanded this experiment to include tissue samples from a dozen more MSA victims from tissue banks on three continents: the Massachusetts Alzheimer’s Disease Research Center in Boston, the Parkinson’s UK Brain Bank at Imperial College London, and the Sydney Brain Bank in Australia. The results were the same: When exposed to human MSA tissue, the mice developed neurodegeneration. In addition, the team found that the brains of infected mice contained abnormally high levels of insoluble human alpha-synuclein, and that infected mouse brain tissue could itself spread the disease to other mice. The discovery that alpha-synuclein prions can transmit MSA raises a public health concern about treatments and research that involve contact with brain tissue from neurodegeneration patients, because standard disinfection techniques that kill microbes do not eliminate the PrP prions that cause CJD. Whether the same challenges hold for alpha-synuclein prions in MSA remains to be determined. The authors write that clinicians and researchers should adopt much more stringent safety protocols when dealing with tissue from patients with MSA and other neurodegenerative diseases, many of which they believe may also be caused by prions. For instance, MSA is frequently initially diagnosed as Parkinson’s disease, which is often treated with deep-brain stimulation. The disease could potentially be transmitted to other patients if deep-brain stimulation equipment is reused. Alpha-synuclein immunohistochemistry showing many glial inclusions seen in Multiple System Atrophy (MSA), a neurodegenerative disorder. Unlike the danger of BSE from contaminated beef, the researchers stress that there is no apparent risk of infection by MSA prions outside of specialized medical or research settings. In the earlier of the group’s two PNAS papers published this month, Woerman led a research team in the development of a rapid new method to test prion transmission using human cell cultures. The team demonstrated that it only takes four days for human MSA tissue to infect cultured cells with alpha-synuclein mutations, in contrast to the 120 days it takes for the disease to spread to mouse models. The UCSF researchers are working with Japanese pharmaceutical company Daiichi Sankyo, as part of a collaboration established in 2014 to develop potential treatments for prion diseases. Additional investigators of the study include researchers from UCSF; Daiichi Sankyo Co., Ltd.; the University of Texas Southwestern Medical Center; Imperial College London; Massachusetts General Hospital; Stanford University; UC Los Angeles, and the University of New South Wales. A complete list of authors appears in each paper. Major funding for the research was provided by grants from the National Institutes of Health and gifts from the Sherman Fairchild Foundation and Mary Jane Brinton. The authors declare no financial interest or conflicts of interest in relation to this work.